Ready for more Hands-On Fossils events? 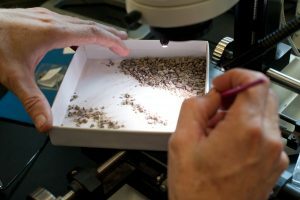 Brody Hovatter from Prof. Greg Wilson’s lab has scheduled more microfossil sorting sessions. This time we will be at the Burke (not the lab) and teachers from the DIG Field School program will also be invited. Please RSPV to admin@digfieldschool.org, or contact us if you have any questions.